This treatment mist is more than just a toner. This product is a true phyto-aromatic fountain of youth, essential for rebalancing and preparing skin for everyday beauty products. Alcohol-free, this toner refreshes and purifies skin. The energizing effects of the essential oils can be felt throughout the entire body. Close eyes, spray 3-4 pumps on entire face, neck, and decollette. This is the PERFECT combination for use with the Gel Nettoyant Cleanser. It freshens and moisturizes your skin - and closes your pores after the cleaning so that your skin remains sparkling and clear. 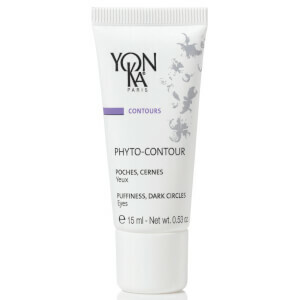 I've been using this Yonka toner for several years now and although its on the pricey side its well worth it! You can either use the spray on the bottle or a cotton ball. A little goes a long way and You wont be disappointed! This is a great product to use after cleansing! It smells wonderful and fresh, yet is not too strong. The bottle also lasts a very long time, which makes it a great buy. Fabulous pick-me-up for your skin! I do not have sensitive skin but can't use this toner even for one day. When I put it on my skin, I have a burning sensation and my skin develops red patches. Have never had it with any other products. i'm completely obsessed with this product. i use it day and night after cleansing and whenever i feel my skin's thirsty. it smells divine!! it's a big bottle too, which lasts a really long time. and to think i thought i didn't need a toner??? I'm a big fan of YonKa and this is one of my favorites. This is the one product I always have on hand. It smells great, feels good and helps hydrate. My face feels so dry after showering but one and a half sprays of this and I feel hydrated and rejuvenated. It smells terrific and I think the bottle will last decades, a little goes a long way. I have used both of the Yonka toners. Either one is a great product. I recently got a chemical peel not knowing how my sensitive skin would react. I came away with a bright red, sore face. I was told this was normal but could not get any relief nor use any of my usual skin care products. I took a chance and tried my Yonka Toner, which is the only thing that gave me relief. I am not suggesting that it would work for everyone after a chemical peel, but for me it has been a life saver. Thank you Yonka for bringing such a wonderful product for us. I keep trying other toners just for fun and experimenting. I always go back to this one. The aroma is unbelievable: I just want to touch up all day for the scent and as a refresher. (Wish Yonka made a travel size!) I tried La Roche Posay toner and the other day the Sampar mist. NO comparison. This leaves a bit of moisture and beneficial essential oils on after the skin has dried. On a very hot, humid day when in a hurry or about to exercise, I can mist, put on eye cream, a sunscreen with moisturizer and that's it. Will never switch to another!